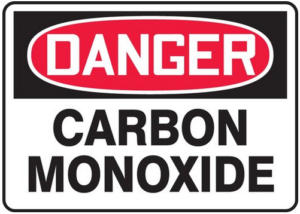 Carbon Monoxide, also referred to as CO, is a flammable, colorless, odorless, tasteless toxic gas, produced during incomplete combustion of fuel – Natural Gas, Oil, Coal, Wood, Kerosene, etc. Carbon Monoxide can escape from any fuel-burning appliance such as a furnace, water heater, fireplace, woodstove or space heater. Most newer homes are built very air-tight, thus cutting down on the supply of fresh air to your furnace – creating an oxygen starved flame. Tight closing replacement windows and doors, as well as additional insulation can cause similar problems in older homes. Carbon Monoxide can spill from vent connections in poorly maintained or blocked chimneys. Improperly sized flues connected to new high-efficiency furnaces and water heaters can also contribute to CO spillage. Warming up vehicles in an attached garage, even with the garage door open, can allow concentrated amounts of CO to enter your home through the car port door or near-by window. If you are suffering from chronic flu-like symptoms, see your doctor and ask him it it could be a low-level CO poisoning. 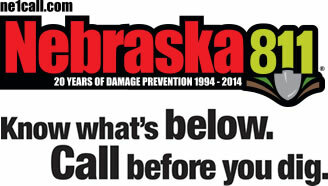 If you have a CO detector, and it alarms, open windows and ventilate your home with fresh air, and call Nebraska City Utilities to have your heating system checked. There is no charge for this service – your safety is our number one concern. Nebraska City Utilities recommends that every household be equipped with a “plug in type” Carbon Monoxide detector with a digital readout.